Electric cars aren't just big news for general consumers at all of the auto shows this year. 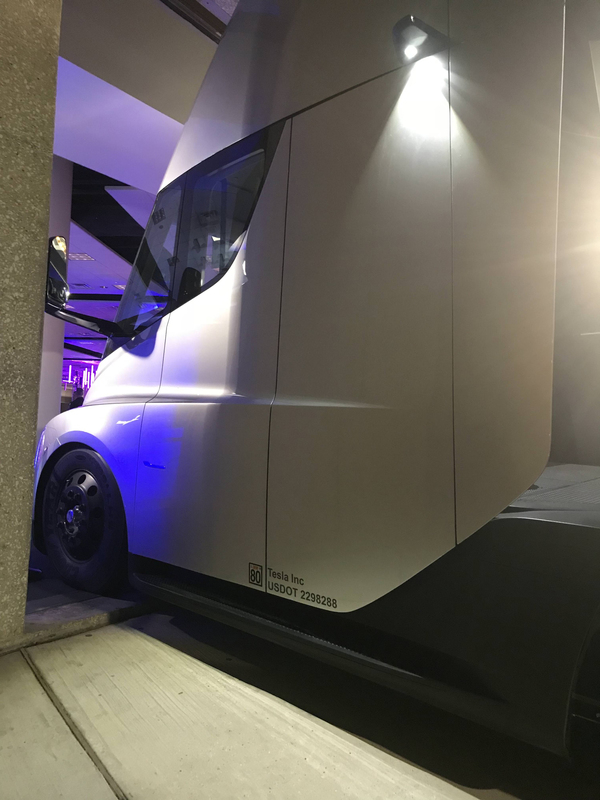 Tesla made waves last November when it revealed its Semi with breakneck 0-60 mile per hour speeds and 500-miles of range, and companies are buying right into them. 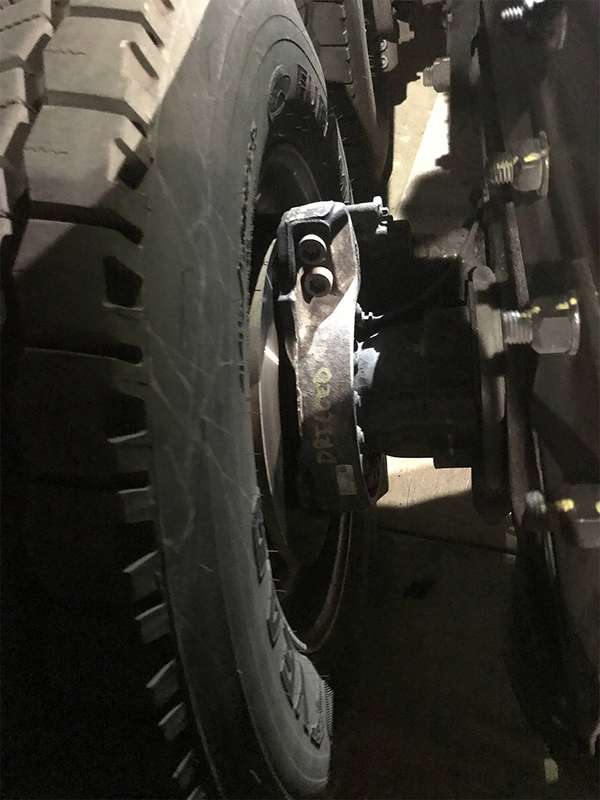 At a private showing to one of its clients, one Redditor decided to take matters into his own hands and get up close and personal with the Semi after spotting it. 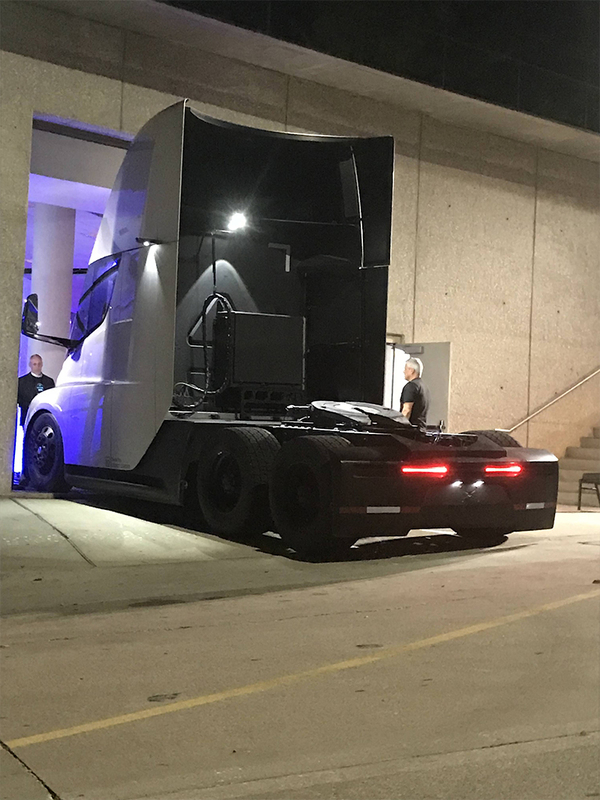 On Tuesday, a different Redditor posted to the /r/Dallas subreddit showing that they had spotted a Tesla Semi in the area. Naturally, this made quite a few people pretty excited. 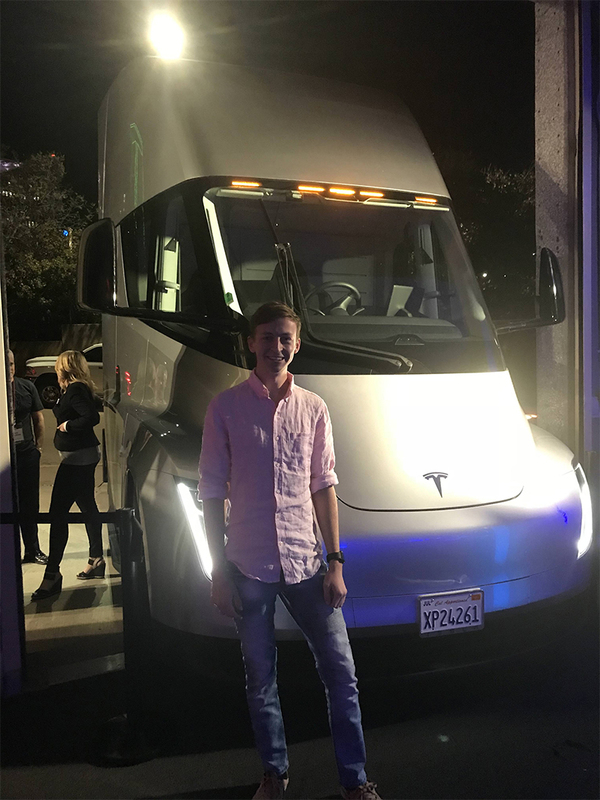 Comments about the vehicle's appearance and other spotting threads (including one with a photo taken at the local Tesla service center) became commonplace over the next few hours, and finally, a user by the name of Ryan O'Donnell got wind of the Semi being parked for a late-night rendezvous with PepsiCo. He approached the staff and was permitted to take a few photos of the truck in the limited time he had. "I chatted with a Pepsi employee for awhile and then he allowed me in briefly for photos," Reddit user ryanofthedonnell told The Drive. 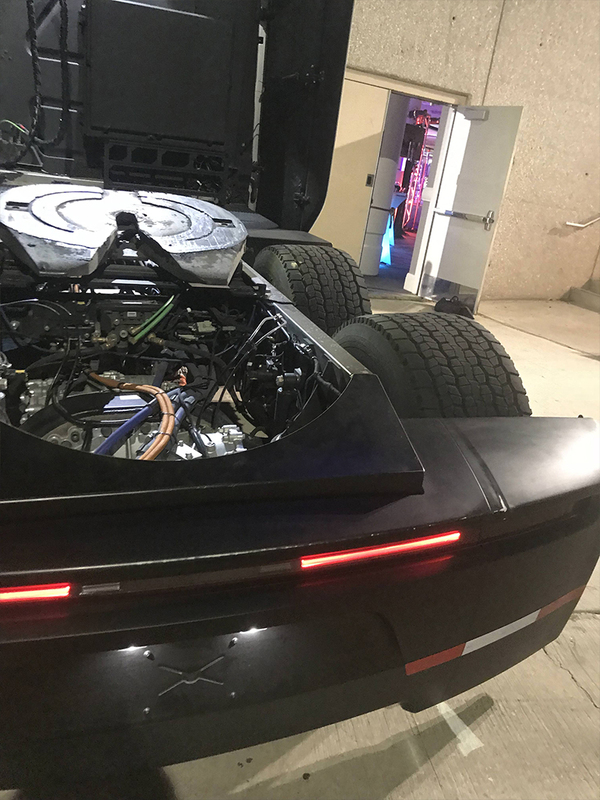 "I was very surprised to see everything exactly as Elon Musk described since it is a beta, but all of it was functioning properly and the actual parts they will use." Tesla might be trying to woo the soft drink company with a show of its Semi; after all, it did pre-order 100 units less than a month after the truck was announced. Allowing its truck to do the dog and pony show with existing and potential clients will surely help to show that Tesla has a working prototype and give the people in charge of making the purchasing decisions an idea of just what the company is buying. 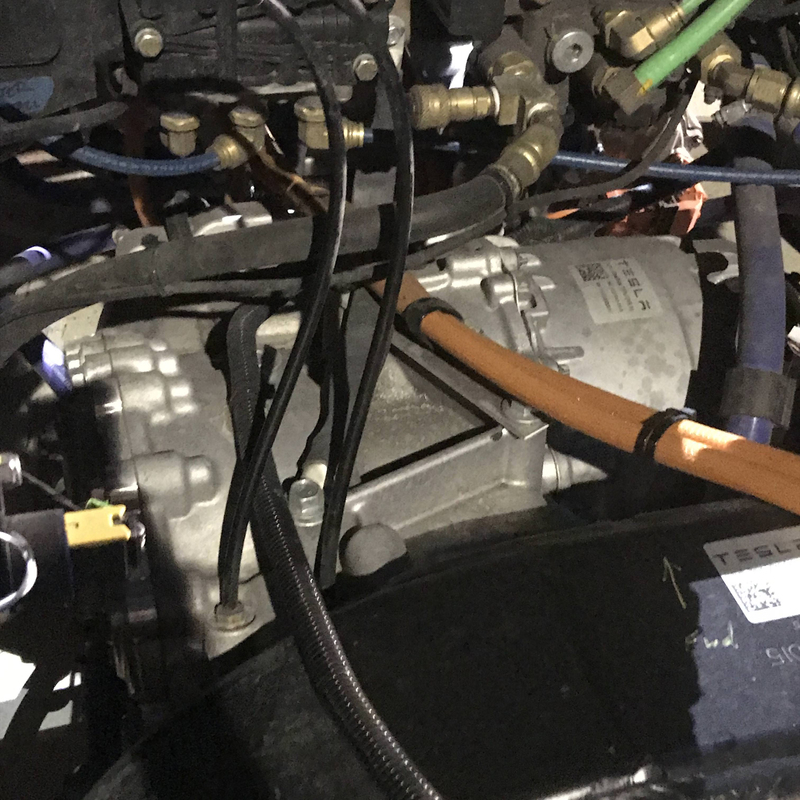 The event had somewhere between 200 and 300 attendees, O'Donnell confirmed, none of whom had an issue showing off the new piece of equipment the company had on order. 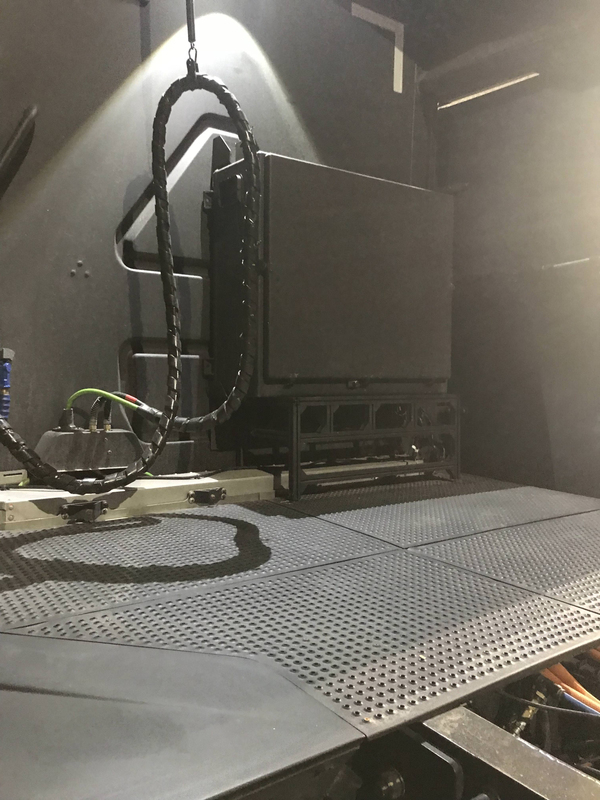 "The coolest part to me was I could see the screens inside the vehicle and they showed multiple camera angles around the truck (the side cameras) on one screen and a rearview camera on the other screen," O'Donnell mentioned. "Also could tell they had maps up. It was exciting to see Pepsi excited about EVs." Another interesting note is that Tesla seems to be parading the same truck around. 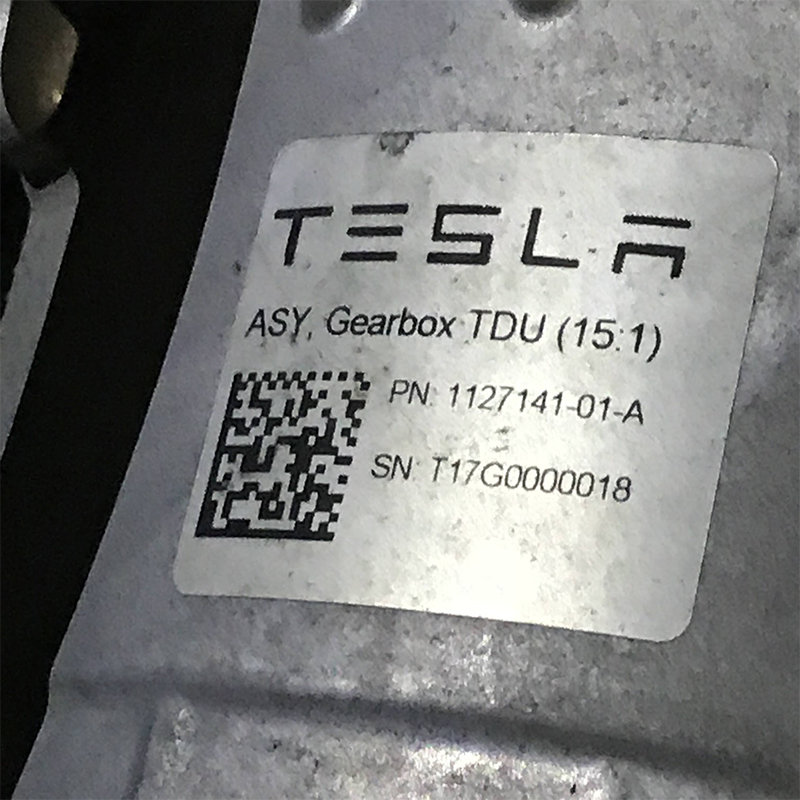 Drag Times took a look at the Semi at its unveiling at the Tesla Design Studio in Hawthorne, California, and in the video, the same gearbox serial number ("T17G0000018") can be seen labeled on the first Semi Tesla was showing off. There were a few things that O'Donnell wasn't able to get a photo of, however. 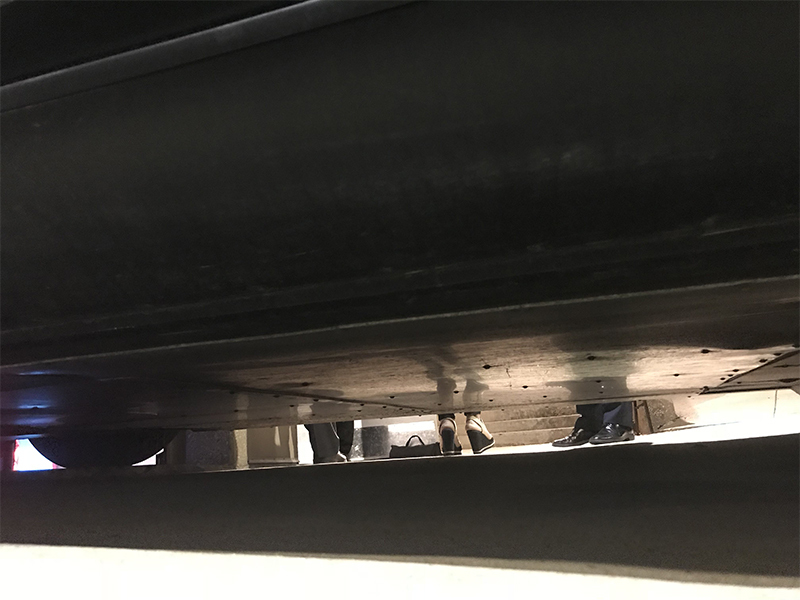 Staff made sure that he wasn't permitted to take a photo of any interior tech, specifically the navigation and battery information. 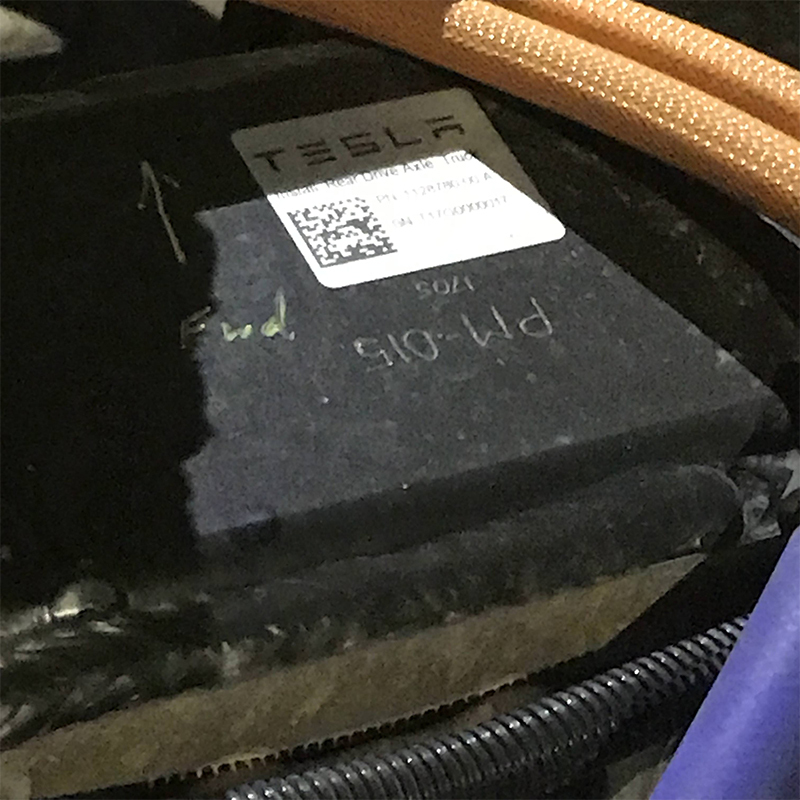 Hiding the battery sticker seems to be a common tactic since the Model 3, almost seeming like Tesla wants to push regular and extended range vehicles and not have the consumer worry about the actual battery capacity. 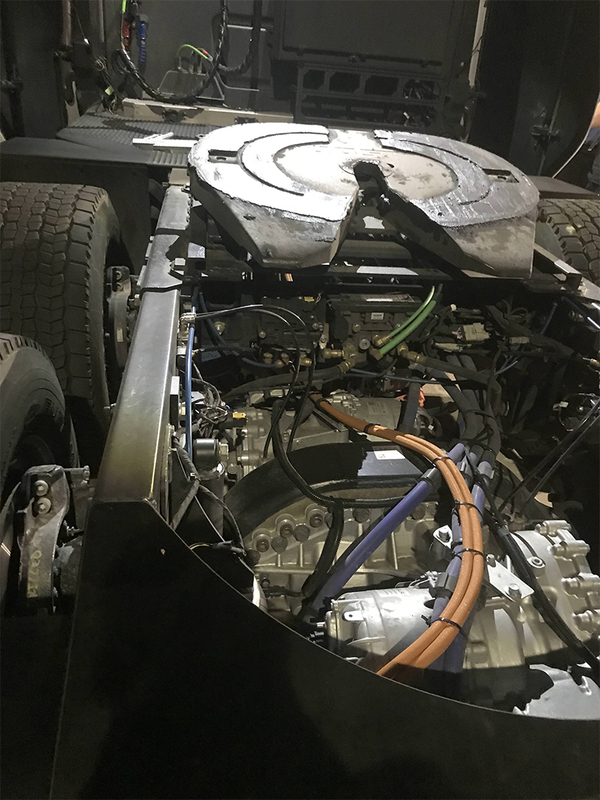 With electrified commercial vehicles becoming more popular, it's no surprise that Tesla is rushing to capitalize on the early access it has to the market. Not only is the Semi one of the first at-scale offerings of its kind, but it also proves to be one that companies are genuinely interested in purchasing. One of the employees mentioned that the initial order of 100 was only a "drop in the bucket" for the total number of Semis PepsiCo wants on its fleet. 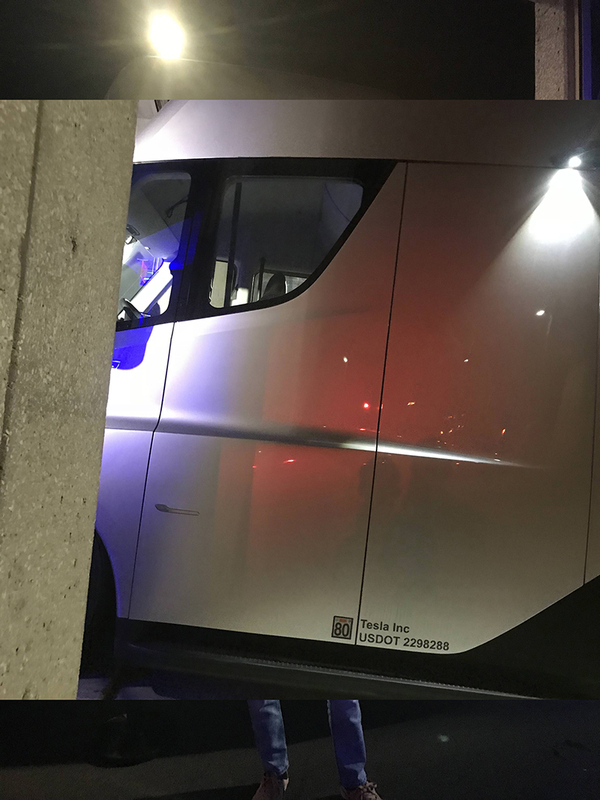 A penny saved on an electric Tesla Semi is a penny earned, eh?